Register your ISO-SHAKER within 30 days and receive a Lifetime Warranty! Send it back and we’ll send you a replacement immediately OR fix it for you free of charge. Our Patent Pending Helix Blending Design! Our patented pending HELIX mixer is designed to evenly mix together any supplement and powder you throw at it. The fixed design ensures there are no moving parts as you shake about. No more loud rattling from a metal sphere. All of our products are designed with you in mind. Our design is simple and effective helping you become the best version of yourself one shake at a time. Naturally, a shaker needs to seal in the contents as you shake, and we put no holds there. The spin on top is designed with enough threads to lock in all the contents. Our color caps gives that signature SNAP everyone looks for, letting you know the contents are safely kept inside. All our ISO-SHAKER colors come BPA free! With our design, there is no more reaching into your slimy shaker for the insert! 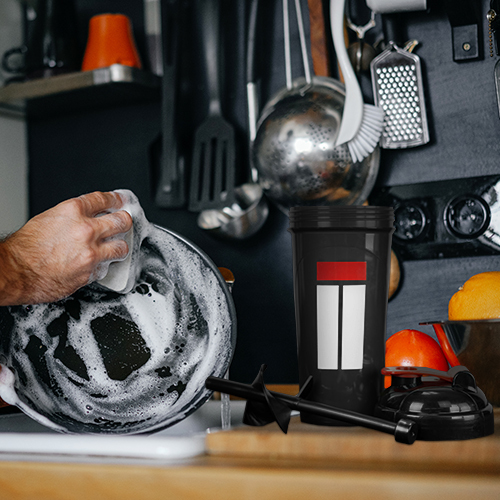 Did we mention the LIFETIME WARRANTY on all our ISO-SHAKERS? !